The guys in the Lake House (from Colchester, IL) had some fishing fun! 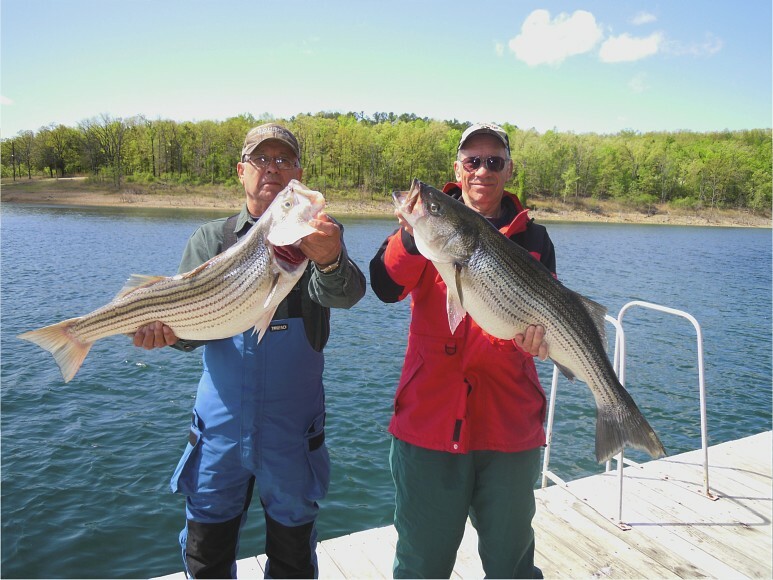 Jim, in the red rain jacket, is holding his largest striper of 36 inches, 24 lbs. 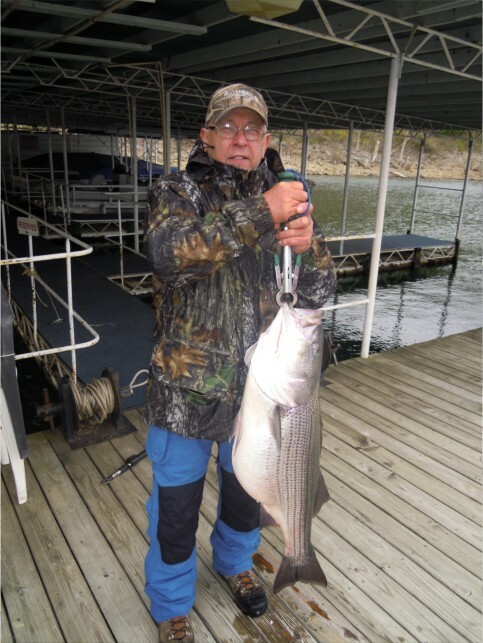 Jerry, in blue and later in camouflage, is holding a 31 incher, 15 lbs. 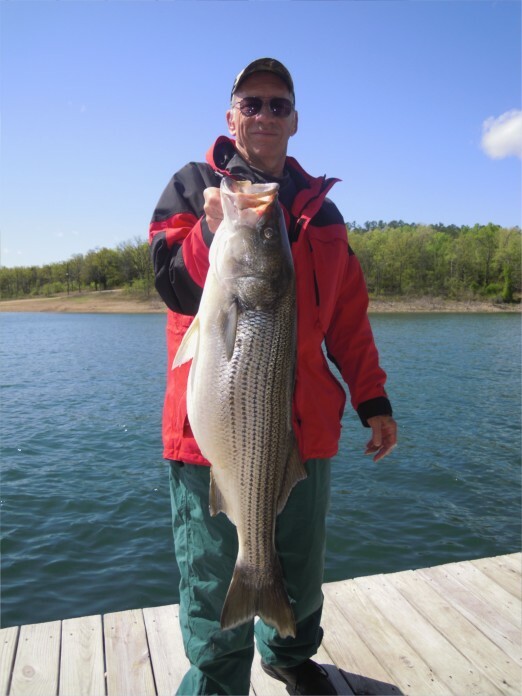 This entry was posted on Thursday, April 21st, 2011 at 2:51 am and is filed under Fishing, Uncategorized. You can follow any responses to this entry through the RSS 2.0 feed. You can leave a response, or trackback from your own site.